If you’re in the market for a high-performance luxury sports sedan, three of the most popular options in the segment include the Alfa Romeo Giulia Quadrifoglio, Mercedes-Benz AMG C 63 S, and the BMW M3 sedan. Each of these vehicles offer upscale interior appointments, striking design, and blistering performance capabilities. As familiar rivals, these three sports sedans share several similarities that can make your decision more difficult. Alfa Romeo Louisville has assembled this useful competitive comparison between the Giulia Quadrifoglio, AMG C 63 S, and the M3 to highlight the key differences between the group. Let’s take a closer look. The Giulia Quadrifoglio shares an identical starting MSRP with the AMG C 63 S, each priced above the less costly M3. While BMW may hold an advantage in starting price, it also lags behind the Alfa Romeo and Mercedes-Benz in terms of performance. Taking the top spot in this comparison when looking at performance numbers is the Alfa Romeo Giulia Quadrifoglio. Simply put, neither of the competitors can match the Giulia Quadrifoglio in 0-60 times, top speeds, or horsepower numbers. 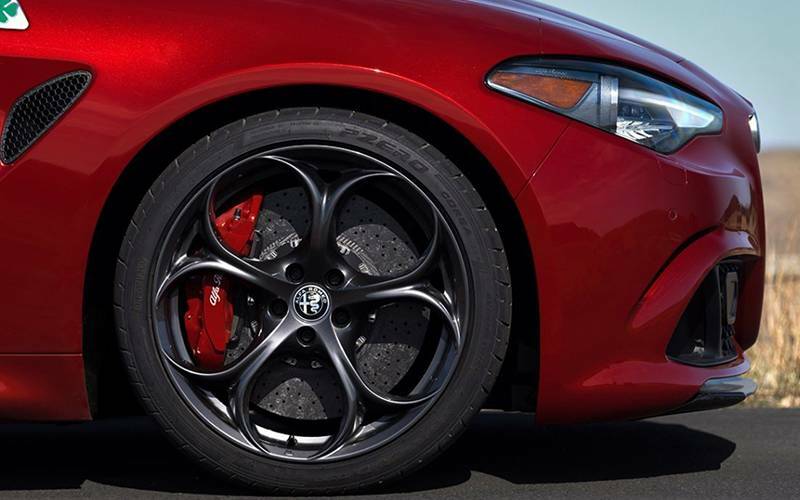 Additionally, the Giulia Quadrifoglio has a more sophisticated transmission and superior stopping power from standard Brembo brakes — both of which are key advantages on the track. Whether on the street or the front straightaway at the track, those searching for the ultimate in performance thrills should look no further than Alfa Romeo. Turning our attention towards standard equipment, the Alfa Romeo Giulia Quadrifoglio continues to excel. Perfect for those chilly mornings, Alfa Romeo drivers will enjoy a standard heated steering wheel — a feature that’s unavailable at Mercedes-Benz and a costly option at BMW. Only BMW is able to match the Giulia Quadrifoglio for the number of driver’s seat adjustments and voice activated navigation system, while Mercedes-Benz trails behind in those categories. Standard front-and-rear parking sensors take the guesswork out of maneuvering the Giulia Quadrifoglio into a tight space. Mercedes-Benz and BMW owners will have to pay extra for this convenience. Finally, all front seat occupants will find themselves more comfortable in the Giulia Quadrifoglio which offers the greatest front legroom of this bunch. The clear winner of the face-off is the Alfa Romeo Giulia Quadrifoglio. The Mercedes-Benz AMG C 63 S and BMW M3 simply cannot measure up to the impressive performance and outstanding value offered by the Giulia Quadrifoglio. Now that you’ve found the winner, Alfa Romeo Louisville invites you to explore our inventory of Alfa Romeo Giulia models to find the perfect one for you!